Villa Inia Entspannung pur mit Meerblick! You expect 150 m² of living space and 4 terraces on a total of 220 m². The 45 m² infinity pool with counter-current system, children's pool and jacuzzi also has views of the sunset in the sea. The terraces offer plenty of shade. Upstairs is a private terrace for relaxing or meditating. Villa Inia offers comfortable and luxurious space for up to 8 people. The villa Inia, located in unspoilt nature, has 4 bedrooms each with a double bed, 2 en suite bathrooms, 1 bathroom and 1 guest toilet. In the kitchen there is a dining area for 8 people and a terrace for 10 people. The beautiful natural stone outdoor area offers enough space for your relaxation and activity. You can expect an individually designed furniture made of pure natural woods. An artisan from the region has designed each bathroom individually. In Villa Inia, attention was paid to high sleeping comfort. You will find beds and mattresses of the Coco-Mat brand. Coco-Mat takes a 100% natural approach to manufacturing and is one of the leading manufacturers in this field. Villa Inia is very quiet and ideal for a family holiday. Our family service and personal care on site complete your wonderful holiday. Villa Inia is equipped with almost everything to make you feel good on your holiday. Wi-Fi is available throughout the house and on the terraces. Extra quiet air conditioners are available in the bedrooms and the kitchen-diner. There is also a washing machine and tumble dryer. The terraces feature lounge furniture, 10 sun loungers, a charcoal grill and a hammock. Salzelektrolyse Filteranlage, reines Wasser ohne Chlor ! Additional charge per additional person 50, - € per night. December till March minimum stay 4 weeks. If you want a more frequent intermediate cleaning and change of linen, this is very gladly possible for an additional charge (80, - Euro per cleaning and linen change). 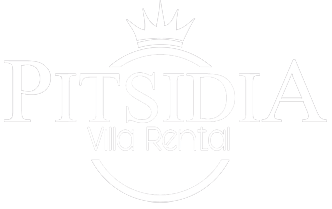 For Villa Inia we will charge a deposit, which will be refunded within 14 days of departure after successful inspection of the villa. Unless otherwise arranged, Villa Inia are available from 4.00pm on the day of arrival and need to be vacated at 10.00am on the day of departure.